*SOLD* to Nick! This afternoon, I met him at a shady parking lot, known for illicit acitivities. I passed the knee pads to him in a non-descript paper bag and we just nodded at each other before going our separate ways. 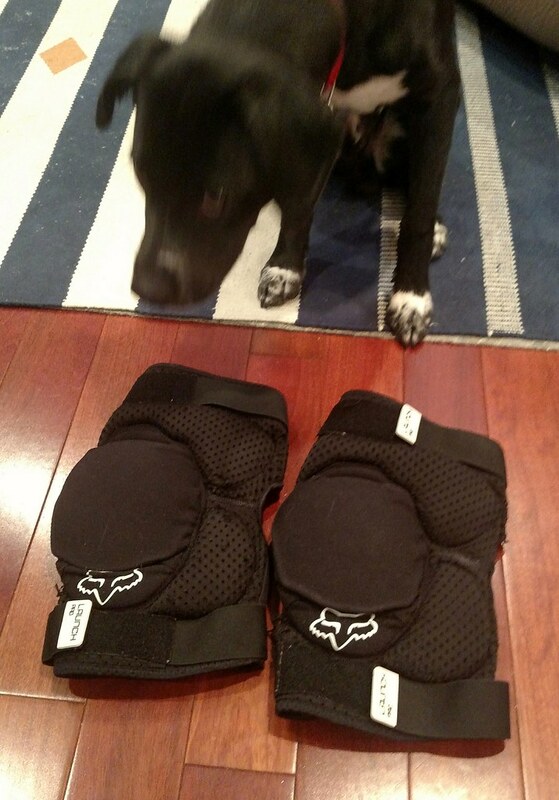 Thanks for the knee guards Rodney. It was a seamless shady transaction . One of these days I will hit you up for Ninham ride. YES! last night he was biting the poo out of me... I mean he is a nice, well behaved dog!